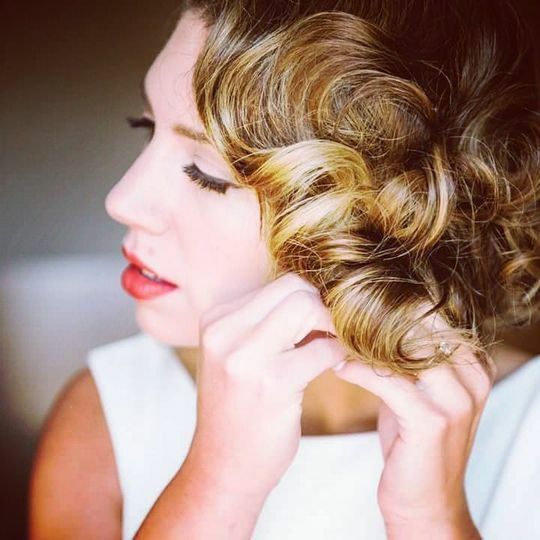 Jenna Cirino Hair Design is an artistic hair stylist based out of Waltham, Massachusetts. 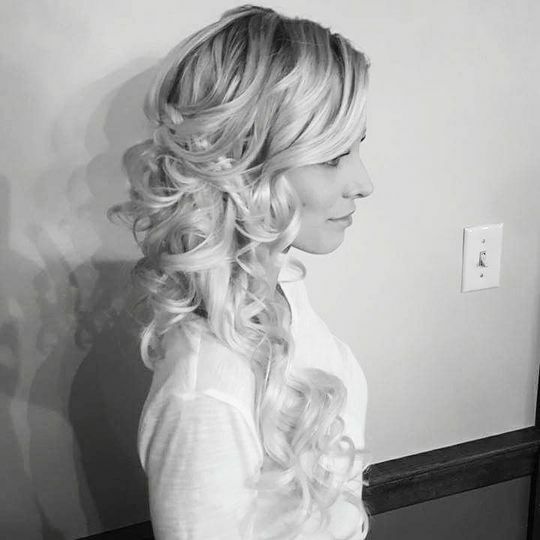 With lots of creativity in her work, Jenna views your hair as a blank canvas that she uses to create wearable art; art that will make you feel beautiful on the inside and out. She realizes that art forms change and are constantly re-invented, which is why she will keep your hairstyle modern and sleek for your event to keep up with the everchanging times. 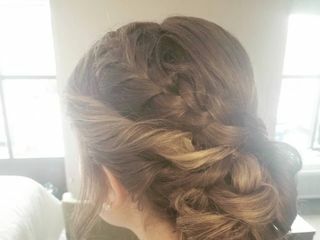 You deserve to relax on your wedding day, so let Jenna Cirino Hair Design take all of the cosmetic stresses away that surround your big day. Jenna was a dream to work with! 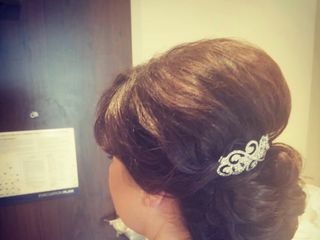 She made sure to set my hair prior to other girls getting ready so that it would have time to cool and stay curled for the whole day. 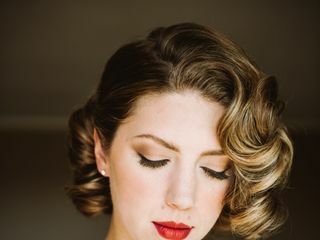 She made my 1920s hair dreams come true with beautiful finger waves that stayed put for the whole night. 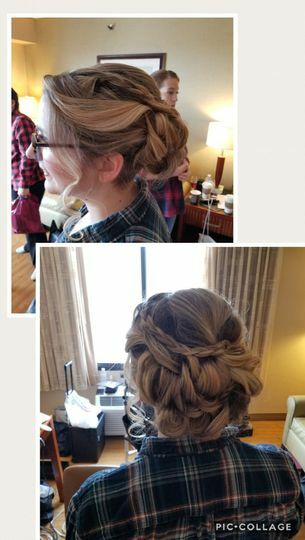 She was able to complete about 8 hairstyles in about 4 hrs - most being updos with some challenging curly hair. She's fun and personable, works within your budget, making it stress free for you on your wedding day. The price of my hair included the trial, there is a travel fee but it is reasonable. She also recommended a fantastic makeup artist - both worked incredibly well together. See for yourself in the photos - hire Jenna! Absolutely speechless! 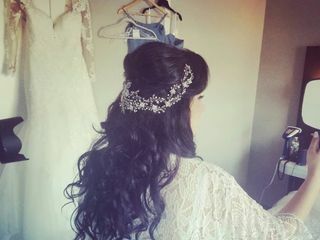 Jenna was the first hair stylist I contacted and when I had my first trial with her I knew that I found the one who would help create my Beautiful look of my wedding day! After our appointment I immediately cancelled other appointments I made with other stylists!! 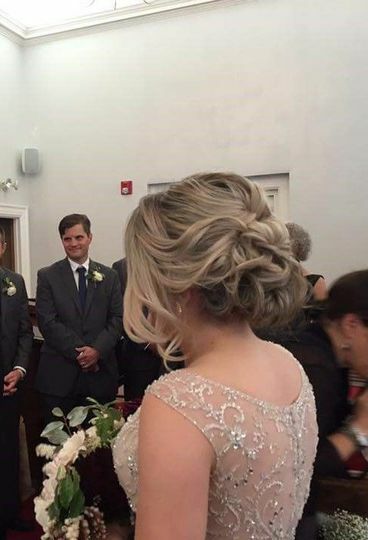 My husband was left speechless at the alter on how Beautiful I looked! 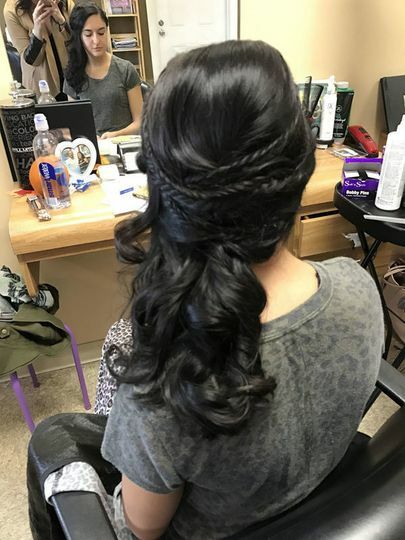 Jenna went above and beyond in helping create this look for me with going out and shopping for additional accessories I needed for my day(hair extensions). 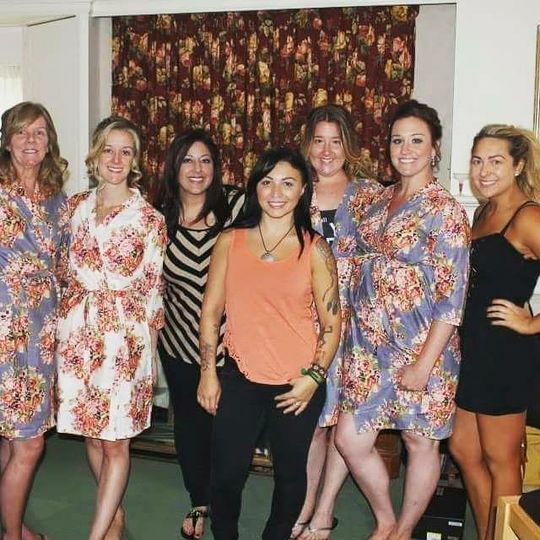 I had 3 bridesmaids along with my mom, and 2 family members who got their hair done. Her timing was on point and she was so organized and so sweet to work with! I kept getting complimented all night on how beautiful my hair looked! She has hands of gold and I am extremely happy with how everything turned out! 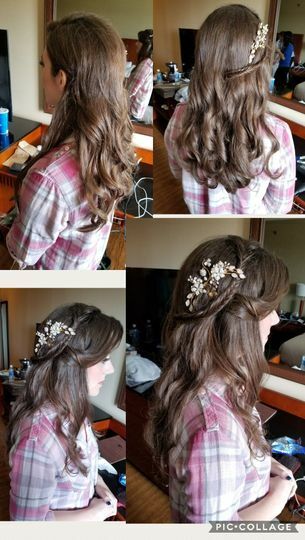 Thank you so much Jenna for help with making my wedding day so special and memorable!! Jenna was so easy to work with and did a great job. She listened to what each woman wanted and came up with beautiful styles for everyone. Her prices can't be beat, but the quality is on par with much more expensive work.